I must admit I’d never heard of William Brockedon until this week. To summarise his Oxford National Biography article…. 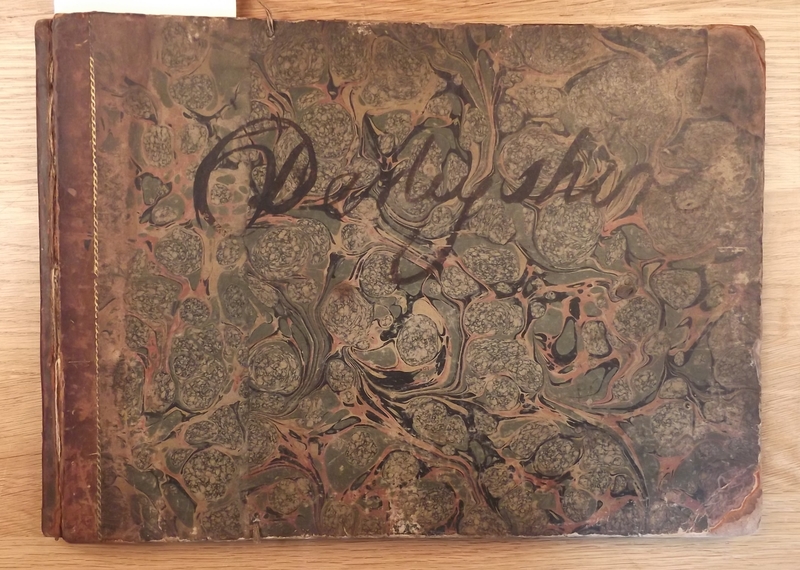 He was born in 1787 in Devon , took over his father’s watchmakers business when he was 14, caught the eye of two local Devonshire patrons in 1809 and with their support went to study at the Royal Academy and pursue a career as a painter. He exhibited at the Royal Academy from 1812 onwards, mainly showing portraits and religious subjects. In 1815 he headed to the alps and produced topographical paintings which were later engraved and widely circulated. By Brockedon’s own estimation he crossed the alps nearly 60 times by 30 different routes. 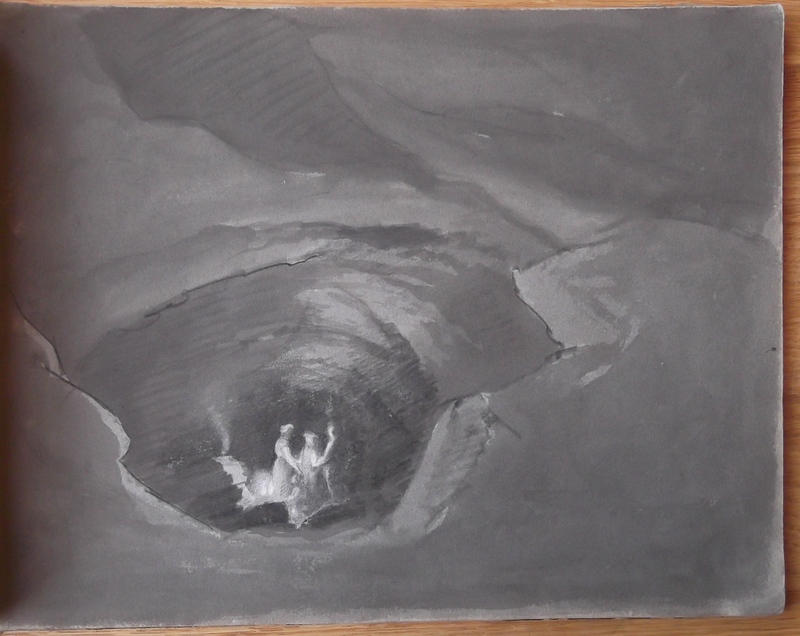 ‘An Album containing 24 drawings, in black and white chalks, and graphite; Album also contains one wash drawing, mostly of Derbyshire scenery, with exception of last plate: a full-length portrait’. I had a look this morning and it was fantastic. Most of the sketches are untitled but it looks like Brockedon travelled via Nottingham and Sheffield to Derbyshire. His first stop was Castleton where he sketched Peak Cavern/the Devil’s Arse and Peveril Castle before heading south to Dovedale. As well as being an artist with work in museums including the V&A and British Museum, Brockedon was also an inventor, a founding member of the Royal Geographical Society and a fellow of the Royal Society. 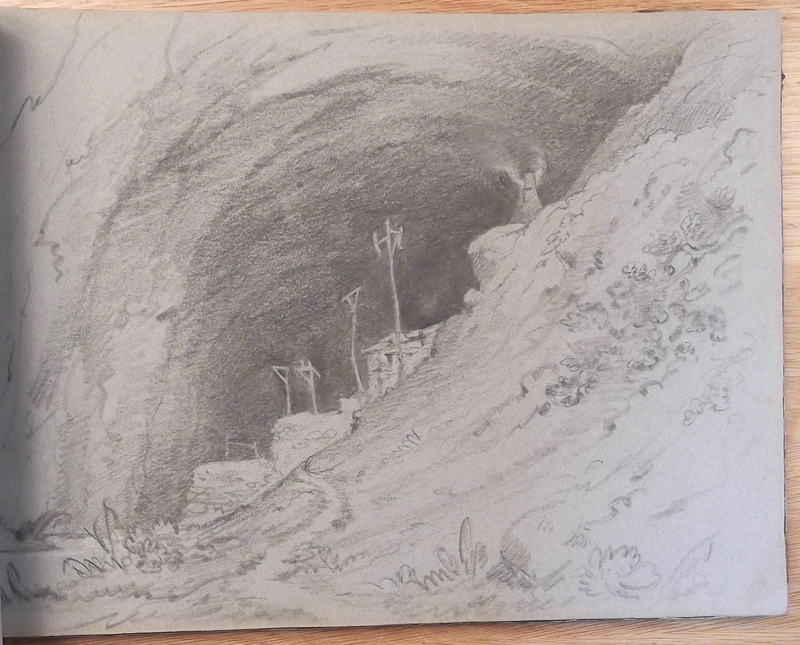 I’ll upload more images from his sketchbook in the next couple of days. The view deep in the Peak Cavern is fantastic – there are some great travellers tales of entering the caves, not least that the guides would blow out the candles and leave the tourists in the dark until more money was forthcoming. Do you think he travelled a similar route to William Day? I was wondering if there was a recognised tour? 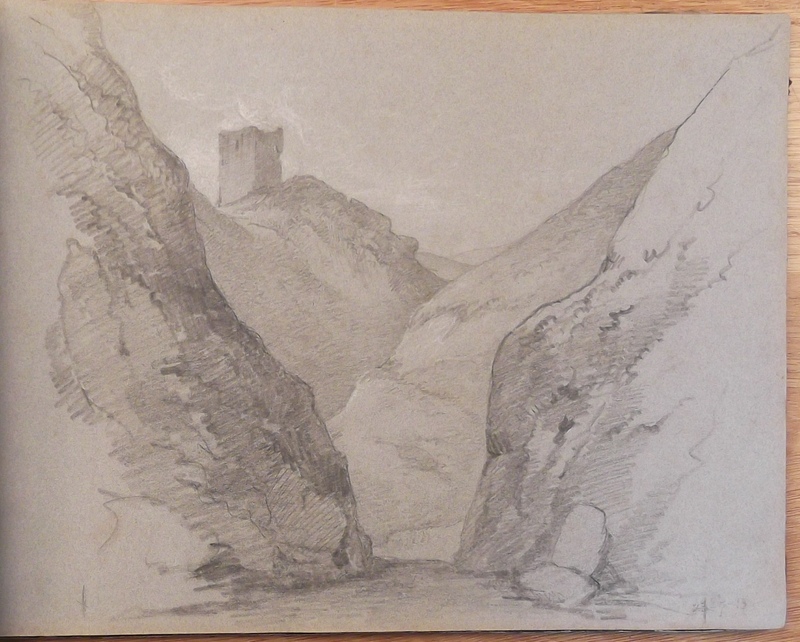 Although he produced similar views to William Day, including a very light unfinished sketch which is almost identical to the Day and Webber Castleton watercolours, Brockendon appears to have completely missed out Matlock in his travels. Or at least he wasn’t inspired to sketch the area if he did visit. Also it looks like Brocekndon entered Derbyshire via Sheffield and from looking at the numbering on William Day’s watercolours he started in Dovedale. It doesn’t look they followed a recognised tour, however they certainly visited much of the same areas. 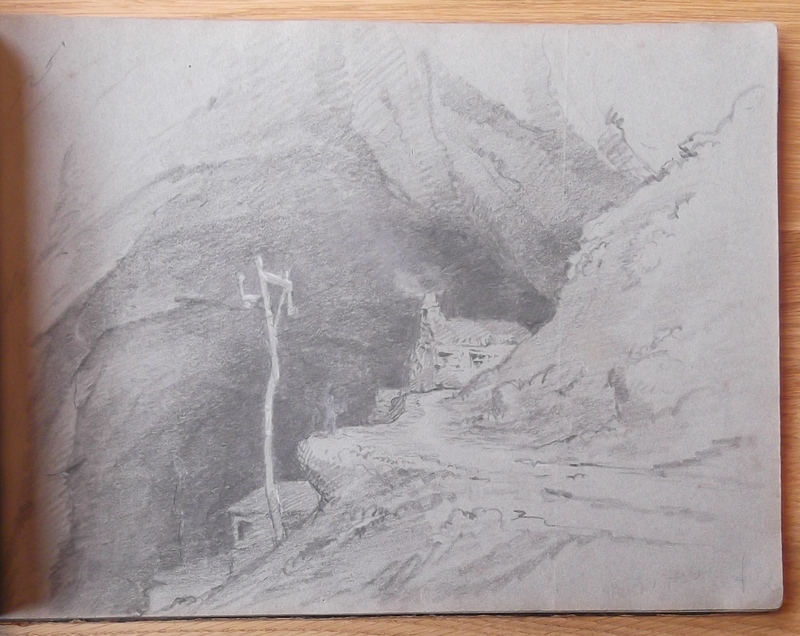 Pingback: Amateur sketchbooks and Dovedale | Enlightenment! I have a portrait by him of my Great-great-grandfather Captain John Gillespie – otherwise known as “The Good Captain”. He is reputed to have refused admission to his ship of The Prince of Wales for swearing! Perhaps this is just a family myth! Myth or not, that is still a great family snippet! Also great to have a Brockedon portrait of your ancestor.. I am a little jealous.